This is a really an inexpensive recipe to prepare. You can enjoy these and have the hulled out potatoes for some mashed potatoes. Everyone loves loaded potato skins. Preheat oven to 350 degrees. 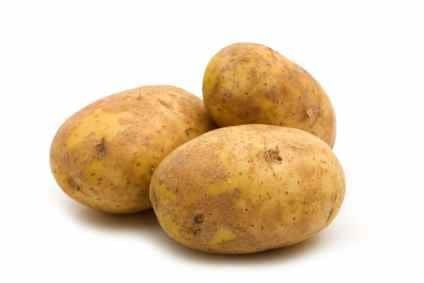 Wash potatoes very well, score them with a knife and bake in an oven for one hour. Remove potatoes and allow them to cool, so that you can handle them. When potatoes are cool, cut them in half and scoop out the "meat" of the potato. Be sure to leave at least 1/4" inch of meat on the skin. Spray a baking dish with Pam and place the scooped out halves in the pan. Sprinkle the potatoes with cheese, and bacon. Place the potatoes in a 350-degree oven for 5-10 minutes, or until the cheese has melted. Remove from oven. Chop the green onion, and sprinkle them over the potatoes as garnish. Serve with sour cream.